We service Wausau and Stevens Point including the surrounding area, including all of Northern Wisconsin. No job is too big, no job too small. 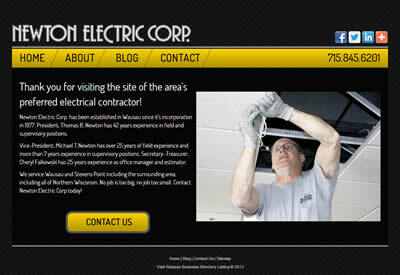 Contact Newton Electric Corp today!